The students and staff of Westlake Boys High School in Auckland welcomed back one of their alumni – Winston Cowie – last week who was there to make a presentation to the school on behalf of him and fellow alumni Euan Sadden. Winston and Euan were together in Oxford in 2007 attending Keble College and both appeared in the Varsity Match that December under the captaincy of Joe Roff. 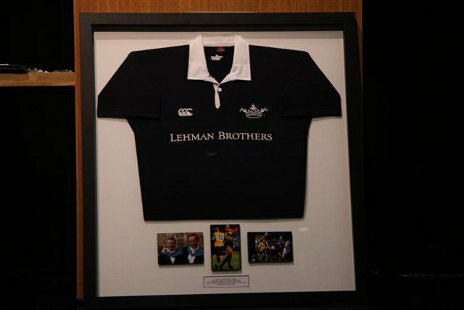 Winston who is now living and working back in Auckland attended a school assembly to present a framed Varsity Match shirt with photos to the headmaster and speak to the students. For the rest of the article on the Oxford University Rugby Foot ball Club website, please click here.